Not too long ago, I watched 500 (Days of Summer), the melancholy relationship movie featuring Joseph Gordon-Levitt and the lovely Zooey Deschanel as somewhat star crossed, ultimately doomed, lovers. 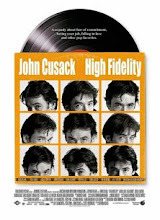 As modern relationship flicks go, it's definitely worth seeing, as it nicely captures the electricity of initial romantic attraction and the bottomless pit of despair that accompanies the destruction of young love. Plus, there's plenty of references to The Smiths and The Pixies, so you're indie street cred will remain intact after viewing. In the film, Deschanel again showcases her lovely, mellifluous singing voice (which she uses in both Elf and Yes Man, if memory serves), but this movie prompts a discussion about the curious paradox she presents. That paradox being? Well, she typically plays a creative and offbeat character, one who is accepting of difference and mostly approachable. In real life, however, she is exceedingly hip. Hipsters, of course, demand rigid adherence to their code of conduct. They must disdain any who stray from that code. So how hip is Zooey Deschanel? 1. She's named after Zooey, of "Franny and Zooey," the J.D. Salinger novella, suggesting that her hipster evolution began as early in life as possible. 2. She's married to Ben Gibbard, the lead singer of popular indie rock band, Death Cab for Cutie. 3. Her husband is not the only musician in the relationship. 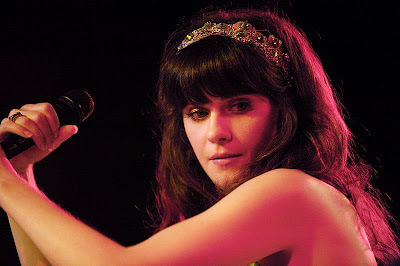 She is one half of She & Him, a band also featuring indie rock maestro M. Ward. (Note: Their two albums were released on Merge Records, home to many hip bands, including Arcade Fire and Neutral Milk Hotel.). 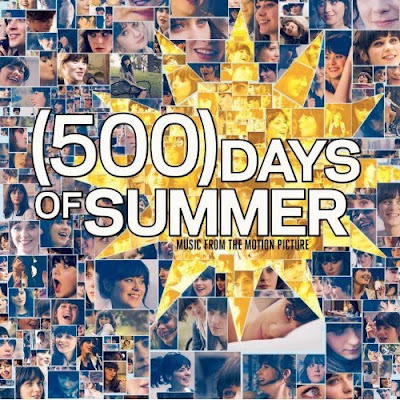 Their haunting cover of The Smiths' "Please, Please, Please Let Me Get What I Want" appeared on the 500 (Days of Summer) soundtrack. 4. Obviously competing for Parker Posey's "Queen of the Indies" title, she has appeared in her fair share of good and bad low budget flicks. (My least favorite is the awful Flakes, a truly bad 2007 movie set in a world in which the free market supports not just one bar dedicated to the consumption of milk and cereal, but two.) I've often written that sometimes, an independent film is "independent" for a reason - it's bad and unworthy of studio financing. Whatever the case, Deschanel has dedicated herself to remaining true to her indie cinematic roots. 5. She's brunette, the preferred hair color of indie hipsters. True hipsters don't go blonde. 6. She's vegan (apparently by necessity, rather than by choice, due to allergies). Thus, it's not a flippant style choice or attempt at a political statement, it's actually medically appropriate. 7. She was cast to play Janis Joplin, although the film was never made, adding to her mythology. So, what to make of all of this? What does it all mean? If she is so insufferably and painfully hip, how is it that she can continue to play these accepting and approachable characters? As per the dictates of their compact, hipsters must cast disdain upon any and all things while simultaneously making (or wearing) ironic pop culture references. But in her performances, there is a sincerity, almost a vulnerability, which belies that stricture. Perhaps she's just a good actress and remains a doctrinaire hipster in real life. I'll never know. Alas. Watching reruns of "Twin Peaks", I also realized that her mother plays the mother of Donna Hayward, giving her lineage Lynch-foisted oddball indie cred. Her mother also looks a bit like Zooey/ Emily.